Dialogs in English., ENGLISH., Grammar., LANGUAGE., Rebecca, TUTORIALS. Hi, I’m Rebecca from Engvid. 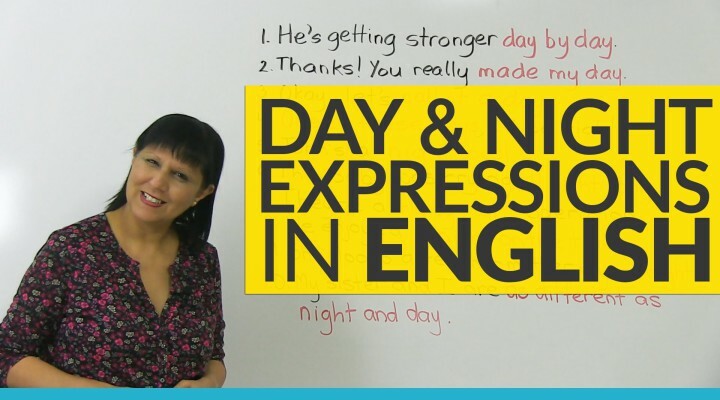 Do you think you speak good English? 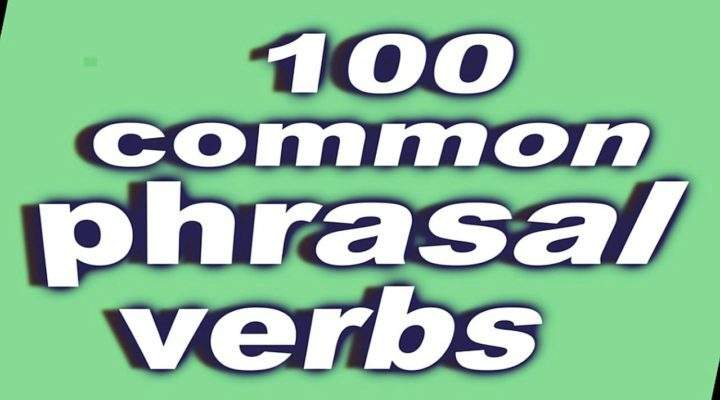 In this lesson we are going to look at 10 common errors made by English students, and let’s see if you know the difference between right and wrong. Now, these are homonymes. That means they are the two words that sound the same or almost the same, but they are spelled differently and they have different meanings. So which one is correct in this question? Okay? Think about it. So, I hope you said that this is correct. Okay? Because this one is the word we use when we’re talking about possession. Okay? Ok? Let’s go to the next one. And the other one is the possessive form. Okay? Now, you’ll have a chance to understand all of these in more depth. Okay? More clearly. I’ll tell you exactly where to go because we have lessons on every single one of these points in case you get them wrong. Two more homonyms. Which one is correct? Ready? Okay, so it should be … this is right — this is not. Because again you want to say in this sentence: «I think you are beautiful», not «your», which is the possessive form, like: «Your bag is on the table.» Like that, okay? This is a very common error made, unfortunately, also by English speakers. But you don’t want to do that because you know better. Now, here the pronunciation was a little bit different, but which one is correct? Next, we’ll look at five more. All right? Okay, number six: «Did you lose your keys?» or «Did you loose your keys?» Ok? You see that there is spelling difference. There’s also a slight pronunciation difference in those two words. So which is the correct answer? It is the first one, okay? Because this is the verb «lose», it has one «o», l-o-s-e, an the othe word is the word «loose», as in: «His pants are loose», or «His shirt is loose.» Okay? So that’s not what you want here, you want the verb. Okay, again, these are homonyms, three of them that sound almost exactly the same, so you must know which word is the right word to use. So, which one is it? I hope you said this one. «They’re going home.» Okay? These «Their going home.» or «There going home.» are not correct, because this is a contraction, which is two words, which are shortened into one, which stands for: «They are going home.» Okay? «This is their house.» And «there» is the opposite of like «here», «there», that kind of thing. Okay? then you have to say something after that, like: «George lived here five years before I did.» or «… before he went to college.» or «…before he got married.» or something like that. Okay? We can’t just let it hang like that, the word «before». So the correct answer here is «ago». Which is right? Ok. Again this is the verb «succeed», and this «success» is the noun. So you don’t want the noun in this case, you want the verb. All right? Also be very careful of the spelling of this word. This is one of the most commonly misspelledwords in the English language. Okay? «S-u-c-c-e-e-d» «S-u-c-c-e-s-s». Ok? Make sure that you really know how to spell that word. If you’re going to use it on an exam or a test because many people get that wrong. Which one is right according to you? So, again, what you’re looking for is the adverb that describes how she drives. «She’s a slow driver.» Okay? 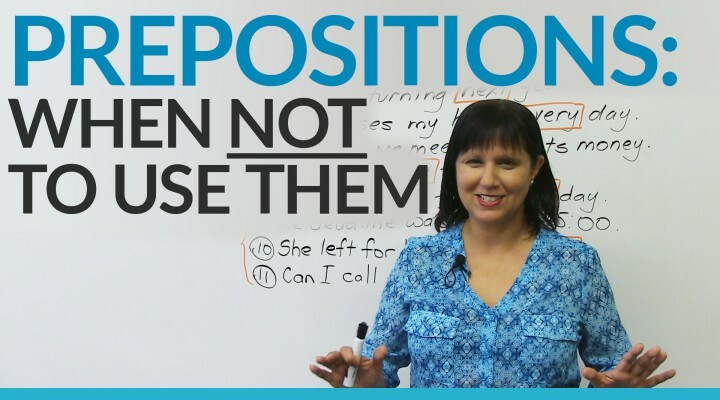 When NOT to use prepositions in English!